The Belfry has long been a host to spectacular weddings and celebrations – from an elegant extravaganza, a beautifully simple ceremony, a bespoke wedding breakfast, and vibrant Asian weddings. They have a number of function and event suites that offer the perfect blank canvas for your dream day. Combined with our bespoke Asian wedding cake service the Belfry Hotel becomes the perfect venue for your special day. Located just 20 minutes from Birmingham yet perfectly secluded in 550 acres of rolling countryside, The Belfry has everything you need. You could settle your pre-wedding nerves with one of their luxury wedding spa packages, or perhaps you’d prefer a round on The Brabazon. Whatever you choose, at The Belfry, you can savour your day while their experienced team takes care of every detail. 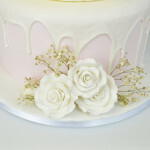 Our pastel drip wedding cake is a fantastic wedding cake look for early and late spring weddings. Bringing together a combination of light pastel tones and the trendy drip cake design makes this wedding cake design stunning. The wedding cake design can be complimented with light refreshing wedding cake flavours from our delicious lemon and orange to elder flower of blueberry to name a few. Why not follow our simple guide to help you create this stunning wedding cake design. Colour the white sugarpaste in pastel shades of green, pink and lemon. (Approx: 750g Green, 1.1kg Lemon & 1.5kg Pink) You may vary the colours on the tiers if wished. Place the 6” & 8” cakes onto the corresponding cake cards and the 10” cake onto the 14” drum board. Cover the cakes and leave to dry. Dowel the 6” & 8” cakes flush with the top surface. Pour the candy melts onto the top of each cake and spread with a palette knife, just to the top edge of the cake, coaxing it gently over the edge to drip down the side a little way. Allow to dry completely. Stack the cakes, fixing with a little icing. Create three arrangements of roses on the cakes, fixing with icing, and add some gypsophila around them to enhance the look. At Sugarbliss Cake Company re are renowned for our bespoke wedding cake designs inspired by our clients. 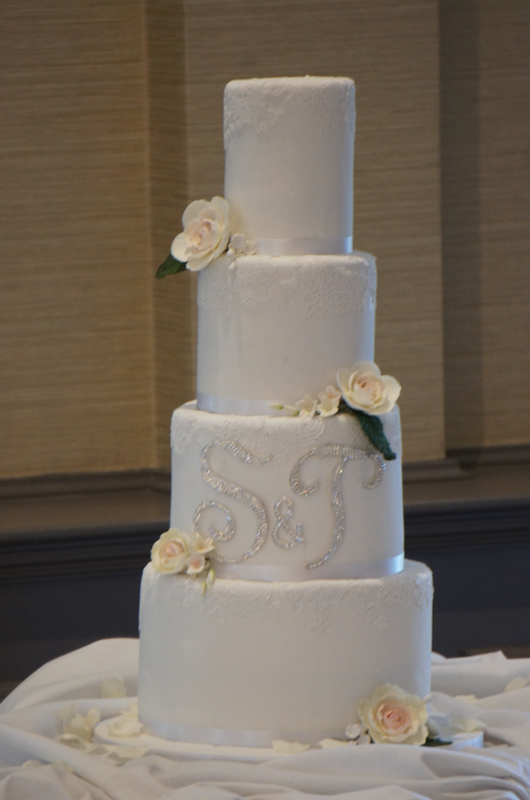 We love designing wedding cakes which are stunning and completely different and reflect the bride and grooms tastes. There is such a fantastic and inspiring choice of wedding cake design this year but some of the most popular wedding cake designs are inspired from traditional and popular wedding cake designs. We have chosen a few of these beautiful wedding cakes to show you our Sugarbliss Cake Company wedding cake collection. Whether you’re looking for a traditional look or a more contemporary design, you’re sure to find plenty of inspiration below. Semi Naked wedding cake is to garnish with seasonal fruits or flowers, are becoming a popular choice for this year, with their deep purple skin, a bright red centre featuring hundreds of seeds and an unique taste. Ideal as decoration on a naked or semi naked design. Our gorgeous marbled design cake features the Pantone colour of the year making it the must have cake for any season! With different shades/colours of sugar paste to match your theme you will achieve a completely unique finish every time, Perfect for brides who want a one off design. Metallic cakes are a popular choice for brides all year round, but especially magical in Spring! 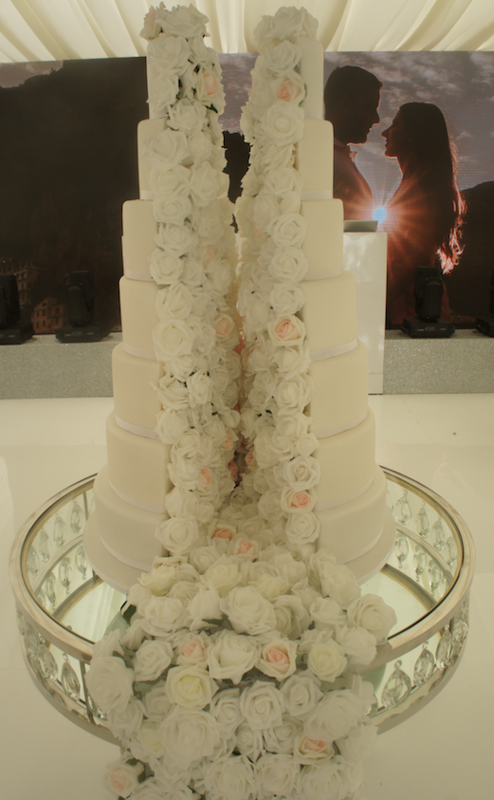 Our Rose Gold wedding cake designs look absolutely stunning and a real talking point for your guests. A more of a classic wedding cake design this year features cascading rich gold edible sequins, cake lace and beautiful handmade floral sprays. With matching cupcakes to compliment the cake, this design is ideal for a any themed wedding. For a contemporary twist, why not add a twist to a popular cake trend – drip cakes. Our chocolate drip cake includes beautiful hand made sugar roses and seasonal fruits, great for a spring /and summer wedding. Why not chose from our delicious range of over 50 different wedding cake flavours to compliment your wedding cake design. 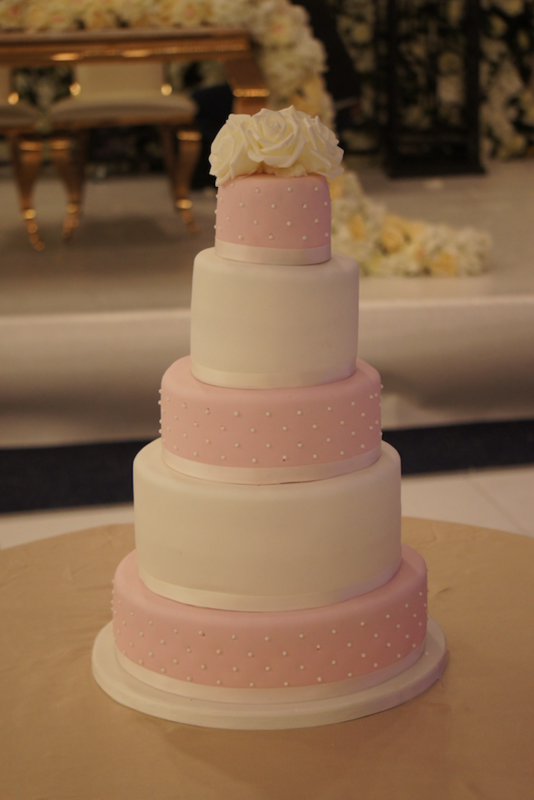 We also specialise in eggless wedding cakes, vegan wedding cakes and gluten free wedding cakes. 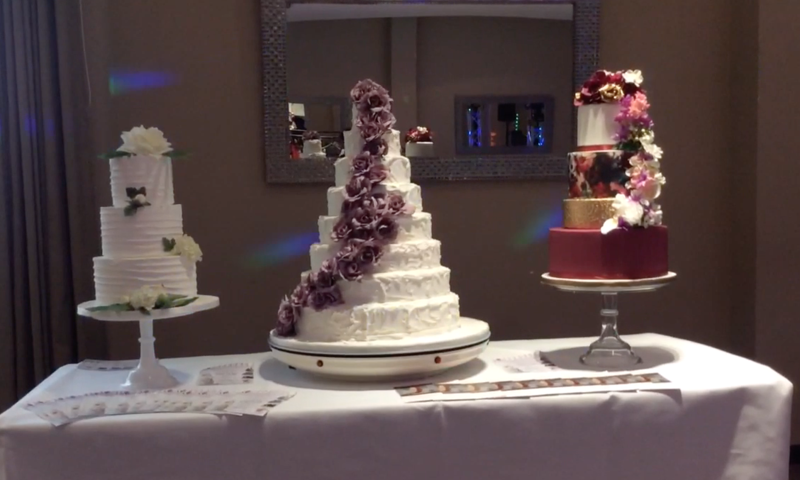 If you would like to find out more about our award winning bespoke wedding cake designs please contact us. 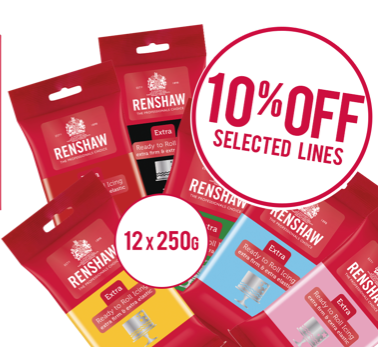 Renshaw Icing 10% off this April. 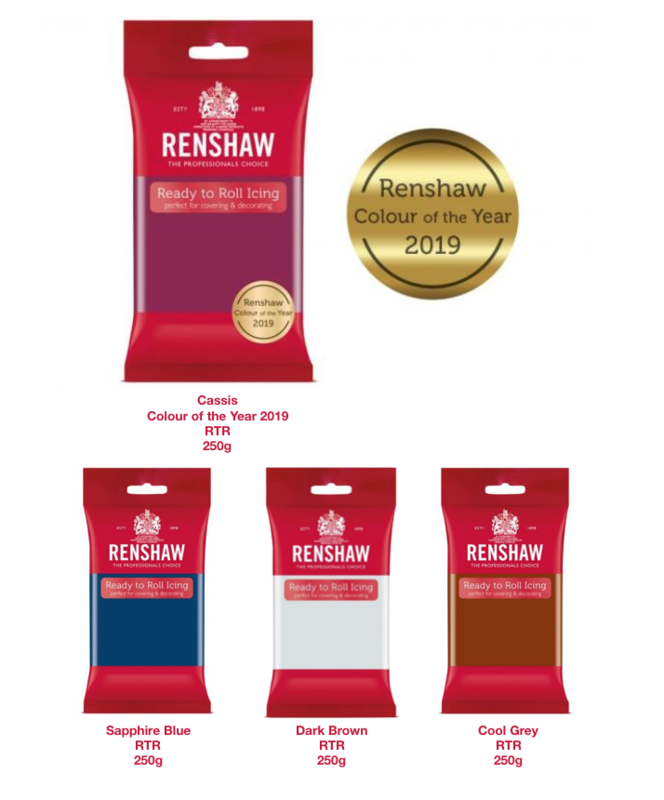 If you are creating a stunning wedding cake or a beautiful birthday cake, our Renshaw sugar paste offer this April of, 10% off on all colours and sizes is a real winner. We also have in stock the fantastic Renshaw Extra sugar paste icing which is perfect this summer if you are creating a wedding cake or celebration cake. Specially formulated to be extra firm and extra elastic, this paste can stretch over large or sharp sided cakes without tearing. It has a firmer texture than standard Renshaw Professional Ready to Roll Icing, so it is perfect for deeper / tall cakes, and it can also be used for modelling. We have the full colour range of Renshaw icing at great prices available from our cake decorating supplies shop, Knowle, Solihull. We had a fabulous day show casing our new Sugarbliss Wedding Cake collection at the stunning Edgebaston Golf Club last Sunday. We alaso showcased our stunning Vegan Wedding Cake collection and everyone was able to taste our mouthwatering vegan cake recipes. As well as our new wedding cake collection of 12 beautiful wedding cake design, we also create bespoked wedding cakes for all wedding receptions and designs. With over 50 cake flavour recipes to choose from not only will your wedding cake look stunning it will taste amazing too! We love any opportunity to showcase our wedding cakes and of course let everyone try our delicious cake falvours, Whether you want your wedding cake flavour to be all the same or would like a different flavour for each tier, we have a fantastic tasty range of over 50 wedding cake flavour recipes to choose from. The Ramada Hotel is a fanatastic wedding venue for more smaller wedding celebrations. Conveniently located off the M42, the Ramada Birmingham Solihull hotel near Birmingham International Airport (BHX) offers comfortable, affordable accommodations whether you are with us just one night, or are planning to stay and enjoy the area. At SugarBliss Cake Company we are passionate about cakes and create stunning bespoked cake designs, from wedding cakes to personalised celebration cakes and chic party cakes that not only look stunning and beautiful but also taste as delicious as they look. Edible Cake Photo Printing, Christmas Cakes, Birthday Cakes, Wedding Cakes and Cupcakes. Want to create personalised celebration cakes?. At Sugarbliss Cake Decorating Shop Knowle, Solihull, we offer a full edible photo cake printing service, with your prints available in 30 minutes. Whether, you are decorating your very own birthday cake or cupcakes or want to create a stunning last minute cake, our edible printing service is ideal. Our Sugarbliss Cake edible imaging service, allows you to add a personal touch to any festive cake or birthday cake with photo cake imaging service. Ideal for any one who is looking for a cake at short notice or wants to add a personal image to create a very special celebration cake. Ideal for creating photos for wedding cakes and cupcakes. You can choose your own picture or design or choose from our 100′s of images, templates, banners and fonts to create simple quality edible printed images. 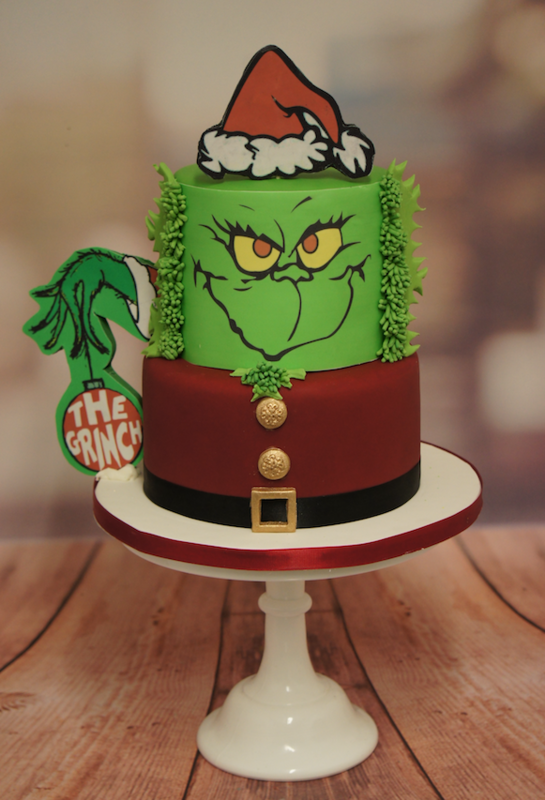 Why not create incredible cake back drops to really bring your cake design to life! Using a simple festive image, sugar pipings, topper and your edible printed photo image, you can create a fantastic Christmas cake or stunning Christmas cupcakes in time for your festive party celebration. Our edible printing photo cake service is super quick and easy. You can even add your very own message. We also offer a complete postal service and dispatch the same day. To Order your edible photo image, please call or pop in to our cake decorating shop in Knowle, Solihull. 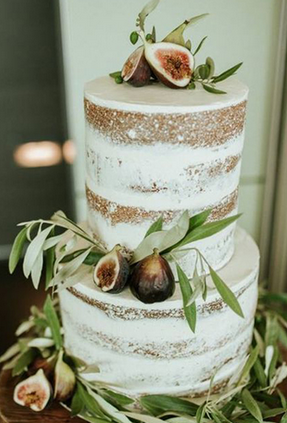 Vegan Wedding Cakes by Sugarbliss Cake Company. Our Bespoke Vegan wedding Cakes can be created in various different sizes, flavours and designs to ensure you have the perfect wedding cake design and of course! enough cake for all your quests. We are always so excited when delivering our Vegan Wedding Cakes especially to Grand Station Central, Wolverhampton and the Stunning Willows Hall, Wolverhampton. Both of these amazing venues are perfect for our 5 tier vegan wedding cake designs which look absolutely stunning. At Sugarbliss Cake company, Knowle, Solihull we also offer a fantastic range of bespoke eggless Wedding Cakes. You can choose from over 30 different eggless wedding cake flavours from our delicious and popular eggless vanilla to our mouth watering coconut and lime flavour, just to name a few. If you would like to find out more about our Vegan Wedding Cakes or our Eggless Wedding cake range, please contact us or pop in to our cake shop. We also offer a fantastic range of vegan cupcakes, vegan birthday cakes, vegan celebration cakes for all occasions. It’s what everyone has been talking about… the 4 new Colours in the Renshaw Professional Ready To Roll Range! And we have them! If you are creating wedding cakes or birthdays these new sugar pastes from Renshaw are perfect for you to use whether you are a professional or beginner cake decorator. These new sugar paste icing colourss from Renshaw, are NOW available from a Sugarbliss Cake Decorating Supplies Shop, Knowle, Solihull, West Midlands. Half Split Cascading Flower Wedding Cakes are stunning and an amazing wow factor. Our stunning 7 tier split wedding cake took centre stage at the magnificent Hagley Hal, Worcestershire. This show stopping eggless wedding cake was also complimented with 550 beautiful eggless cupcakes all individually boxed and personalised for the guests to take away at the end of the evening. At sugarbliss Cake Company we love creating amazing bespoke wedding cakes to suit any sized reception. 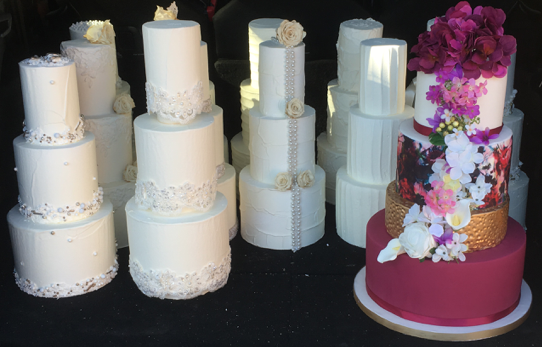 From 2 tier to 10 tier wedding cakes you can choose a different flavour for each tier from a amazing range of cake flavours and filling. With over 36 recipes to choose from we are sure not only will your wedding cake look incredible but taste as delicious too! At Sugarbliss Cake Company we also spealise in Eggless Wedding Cakes, Gluten Free Wedding Cakes, Vegan Wedding Cakes & Diary Free Wedding Cakes.